An oft-repeated phrase is that WordPress is “just a blogging platform.” While it certainly started out as one, it’s long since moved forward into becoming a full-fledged Content Management System (CMS). However, what this entails isn’t exactly obvious if you don’t understand the concept in the first place. In short, a CMS is a platform that enables you to create and store digital content. Currently, its primary use is to create websites, and while WordPress is by far the most popular option, it’s not the only one. In fact, there are many CMS solutions available, each with their own pros and cons. In this article, we’ll be digging deep into the concept of Content Management Systems. We’ll explain the basics and how a CMS differs from other ways of building websites. We’ll also show you why you might want to use one, and run through some of the most popular options. Let’s get started! Many people still think of WordPress as a blogging platform. There’s a kernel of truth in this, as WordPress once started as a continuation of the b2 platform, which was developed with blogging in mind. However, if you’re a keen WordPress user, you’ll understand that the platform has now evolved into a full-fledged Content Management System (CMS). As the name alludes to, a CMS allows you to create, store, modify, and publish digital content. Most importantly, they let multiple people work on the same project by sharing, editing, and collaborating on the same library of files. One significant thing to note is that there are actually several different types of CMS. While they’re all similar in their general functionality, each has a different purpose. 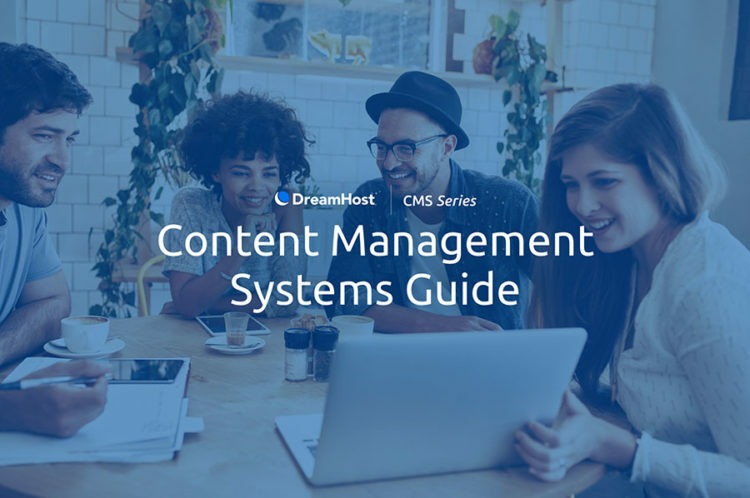 For this guide, we’ll be looking exclusively at Web Content Management Systems (WCMS), which are primarily used to create and maintain websites. Let’s take a step back and look at the practicalities of using a CMS to create and run a website. While it might seem overly technical at first glance, a big selling point for the solution is its ease of use. You rarely need to understand coding or to have prior experience in building a site to use most CMS platforms. To use a simplified analogy, compare creating a website to building a house. The CMS is akin to the essentials, such as the walls, the roof, the doors, and the plumbing. It ensures that the basic foundation is in place so you can focus on furnishing it, decorating the interior, and making it habitable. In other words, populating your site with content, changing its appearance, and making it easy to work with and use. When it comes to WordPress, this is often referred to as ‘core functionality.’ However, any CMS will also enable you to expand on this core functionality, by installing plugins or through introducing your own code. Extensibility and flexibility. With the CMS providing the basics, you’re able to build on the foundations by adding new functionality to create a dynamic and unique site. Permission control. For security, it’s crucial that you can assign user roles to ensure everybody can access the content and functionality necessary to do their jobs (and no more). Multilingual support. The internet is not restricted to a single language, and neither should your site. Most CMS platforms are therefore available in numerous languages and are easily translatable too. Scalability. Most sites grow over time, both in how much content they include, and how many visitors they receive. As such, a CMS is built to be scalable along with your site’s needs. Open API. Using an open Application Programming Interface (API) makes it possible to access your site using otherwise unconnected tools, enabling you to manage your content without even using the default site interface. Naturally, a CMS is not the only method of creating a site. For example, if you’re skilled, you can still code one from scratch. You might also want to cut out the technical aspects altogether and use a website builder (such as Remixer) to do the work for you. So, why even bother with a CMS at all? Let’s answer this question now, before taking a look at some of the platforms currently available. For starters, Content Management Systems are used to run over half of all websites. One obvious reason for this is that many of the most popular CMS alternatives are free to use and utilize open-source technology. While this is certainly a positive, it’s not the whole picture. A CMS provides an experience that puts both experts and complete beginners on an ‘equal’ level, as it were. It also enables you to customize the experience of managing your site. As with any system, there will be a need to train other team members in how your system works. As such, a CMS gives you practically full control over nearly every aspect of your site. You’ll also need to make sure that the CMS you use supports the functionality you require. While we’ll touch on this in more detail later, each CMS has different methods of enabling you to expand your site. For example, you may already be familiar with WordPress’ plugins, which allow any site owner to install new features on their site and extend the platform. Whether or not you decide to use a CMS depends largely on your requirements, the scale and type of site you intend to create, as well as your level of expertise. However, we generally like to recommend a CMS as they take away a lot of the most technical aspects of creating a site, while still giving you a tremendous amount of control. Let’s get a little deeper into some of the solutions available. While this is obviously not a comprehensive list, you’ll often find the following are brought up primarily as go-to solutions for creating a website. Of course, WordPress probably needs very little introduction. It’s by far the most popular CMS, with nearly 60 percent market share. As if this wasn’t enough, it’s reportedly used to run 31 percent of all websites on the internet. So, how (and more importantly, why) has it become so popular? One significant reason is that WordPress has remained an open-source and community-run project. In fact, being open, user-friendly, and extensible have stayed key factors ever since the project launched in 2003. In short, WordPress requires next to no prior experience in creating websites. Practically anyone could install it, build a site, and start adding content and new features within minutes. 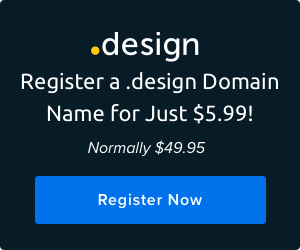 The vast number of available plugins and site themes to change the appearance of your site with ease also makes it a particularly enticing option. However, the enormous popularity of WordPress does come with some downsides. For example, while the core platform itself is secure, it’s a frequent target for bots and attackers. Poorly coded plugins and themes can also introduce security vulnerabilities if you’re not careful. All in all, WordPress is a solid choice, especially for newcomers. It’s a simple solution that offers a lot of power under the hood for those wishing to get involved with the technical aspects. It’s also completely free to download, with no premium options. Most hosts also tailor their servers to the platform. For example, our own DreamPress provides WordPress pre-installed, although many hosts also offer one-click installations. Now, let’s move on to some lesser-known (albeit comparable) CMS alternatives to WordPress. The name Joomla! comes from the Swahili term for “all together,” which references the platform’s open-source community. In contrast to WordPress, Joomla! is a slightly more developer-focused CMS, while still relying on a user-friendly interface. It’s cultivated a huge user community that regularly creates extensions and themes to help bolster the platform’s core functionality. This makes it a good choice if you think WordPress isn’t offering the level of control you require. The platform’s flexibility also makes Joomla! an excellent choice for more complex websites, such as membership sites, social media networks, and online communities. Naturally (and as we touched on), Joomla! also enables you to download themes and extensions to your site. The focus on Joomla! sites tend to skew towards business and professionals, which makes sense considering the additional complexity of the CMS. As such, it might not be the best option if you have little experience with site development. The learning curve is arguably steeper too, especially if you’ve primarily used another CMS in the past. However, developers may find it affords them more freedom and flexibility than WordPress’ offerings. Joomla! is also completely free to download and use, with no paid plans. It’s also compatible with one-click installations, making the process of getting your site up and running much easier. Finally, while fewer hosts support Joomla! out of the box, there are still many who tweak their servers to support the CMS. If Joomla! was a step up in terms of complexity from WordPress, Drupal represents another leap. Initially released in 2001, Drupal is the most technically advanced CMS on this list, which makes it an ideal choice for developers who want full control over their sites, and less technical guidance. 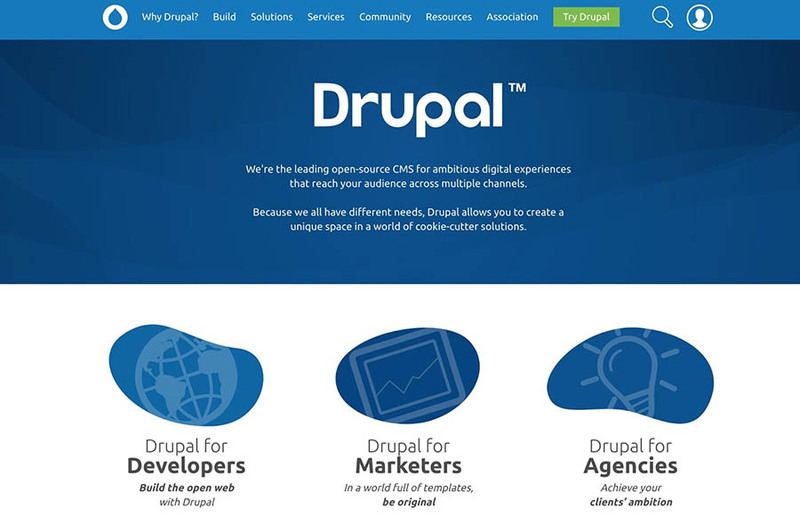 As you can probably imagine, Drupal is best suited for advanced and ambitious websites. It’s an extremely versatile platform that lets developers create almost any type of site — with very few limitations. It’s also arguably the most powerful CMS available and practically guarantees both strong security and fast loading times out of the box. Because of this, Drupal is a great choice for enterprises with a development team on hand, a need for consistently high speeds and reliability, and the budget to match. This includes marketers, agencies, and developers alike. It’s also commonly used by governments and universities. The platform also offers extensibility in the form of modules and themes. Like the previous offerings, Drupal is entirely free to use and based on open-source technology. It will require some tinkering to install and learn the ropes, but it can definitely be worth it to get the level of complexity and freedom the CMS offers. Our fourth and final alternative is also something of an outlier. While Magento is a CMS in its own right, it has a distinct focus on e-commerce. While WordPress’ WooCommerce remains the most popular choice, Magento is still one of the most used platforms for creating online stores. The difference is that while WooCommerce is an e-commerce extension bolted on to another platform (albeit highly integrated), Magento has been built from the ground-up to be a complete e-commerce framework. This means it’s easy to set up a store, manage products, and provide navigation. It’s also just as capable for both large and small businesses. Naturally, there are also plenty of extensions to enhance your store further. Of course, if you’re not looking to start an e-commerce site, Magento won’t be for you. However, if this is your goal, and you want a complete standalone solution not requiring WordPress to run, you may want to consider Magento. Magento is available as a free, open-source download. However, it also provides several paid solutions, including Magento Commerce. The days of coding every aspect of a website by hand are long gone, thanks to the rise of the Content Management System (CMS). These platforms enable you to create and publish content much easier, as well as extend your website’s capabilities to suit your unique requirements. Do you have any questions about Content Management Systems? Our community of helpful DreamHosters can help; join the conversation today!